Stephen King will appear on the Today show the morning of Tuesday, Sept. 24th. And then later that day he will be signing books at the Barnes & Noble located at Union Square, New York City from noon to 2 p.m. He will only be signing 200 books total at this event. 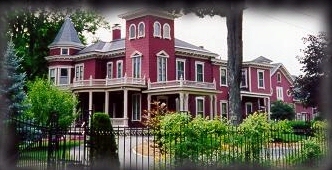 He'll do an interview with Janet Maslin at the Jacob Burns Film Center, Pleasantville NY on September 25th. This even is sold old. He will sign books at Borders Books in Ann Arbor MI on September 29th. He will only be signing 200 books total at this event also. From a Buick 8 is now out in the UK. You can buy it online from Amazon UK's web site. Illustrations and a screen saver for From A Buick * have been released on the publishers' web site. The audio version of From A Buick 8 will be read by: Bruce Davison reads the voice of Sandy, Stephen Tobolowsky reads the voice of Huddie/Arky, Peter Gerety reads the voice of Phil, Fred Sanders reads the voice of Eddie, James Rebhorn (Drunk Businessman reads the voice of the Narrator, Becky Ann Baker reads the voice of Shirley. A book signing at Town Hall will follow the performances. The Wavedancer Foundation will issue receipts for tax-deductions upon request. Tickets are available immediately by email and mail. Tickets will be available on January 12, 2002 at the Box Office at Town Hall and through Ticketmaster at 212-307-4100. LOS ANGELES, CA, Jan. 3 /PRNewswire/ - USA Network will begin airing the new one- hour dramatic series, THE DEAD ZONE, produced by Lions Gate in partnership with Paramount International Television (Paramount), beginning in June 2002, the companies announced today. The deal, made by Lions Gate with USA Network, provides for a full season commitment to the new series, based on the characters and story of world-renowned author Stephen King's best-selling book. THE DEAD ZONE is distributed by Lions Gate throughout North America while Paramount will sell the show in international markets. THE DEAD ZONE, a unique psychological thriller combining a rich mix of action, romance, the paranormal and a continuing quest for justice, tells the story of an Everyman, Johnny Smith, played by Anthony Michael Hall. Smith is about to be married and has his entire life ahead of him when he is injured in a car accident and goes into a coma. When he emerges from the coma, Smith finds that his fiancee is married to another man, he has a son who doesn't know him and he is both blessed and cursed with strange psychic powers. Check out King's offcial site http://www.stephenking.com for some exciting Dark Tower news! You can download 28 pages of Dark Tower V for free starting today! In other news, there is another live version of King's "L.T. 's Theory of Pets" available FREE of charge for download at BN.com! Listen to Stephen King read his short story "L.T. 's Theory of Pets." This reading was recorded at The New Yorker's 75th Anniversary Festival in May 2000. There is another live version of "L.T. 's Theory of Pets" available FREE of charge for download at BN.com! TNT is adapting Stephen King�s Salem�s Lot into a four-hour mini-series and according to The Hollywood Reporter screenwriter Peter Filardi ("Flatliners," "The Craft") will adapt the novel. Producer Mark Wolper ("The Mists of Avalon") hopes to have the same jarring affect on today�s audiences, as did the 1979 version starring David Soul and James Mason. According to E! the miniseries will air next season. 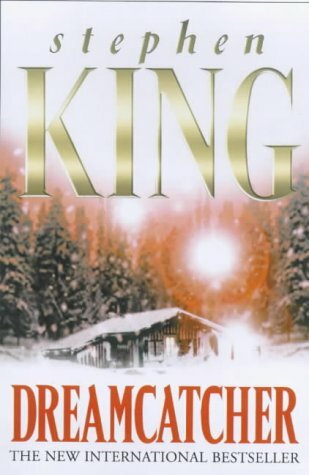 The Hollywood Reporter is reporting that filmmaker Lawrence Kasdan has come aboard to direct and produce the feature adaptation of Stephen King's best-selling novel "The Dreamcatcher" for Warner Bros.-based Castle Rock Entertainment. There is no start date yet. "Dreamcatcher," which is being adapted by William Goldman, is a thriller about four childhood friends who share a special relationship after having performed a heroic act. Years later, they must reunite for another heroic act -- to save Earth from a mysterious force. The project is said to have elements of "The Green Mile" and "Stand by Me," both of which are King novels that Castle Rock has brought to the big screen. The Girl Who Loved Tom Gordon won't be shooting anytime soon. It is still very alive though. As recently as a few weeks ago, George was discussing the script with Stephen King, followed by a major re-write. The movie will be VERY faithful to the novel and that Tom Gordon himself had expressed interest in playing himself in the movie. Nothing is confirmed though. Production began April 17 on The SCI FI Channel's upcoming original Firestarter miniseries, based on the Stephen King novel and starring Marguerite Moreau (Queen of the Damned), Malcolm McDowell (A Clockwork Orange), Danny Nucci (The Rock) and Dennis Hopper (Blue Velvet). The four-hour miniseries--tentatively titled Firestarter: The Next Chapter--began shooting in Salt Lake City under the direction of Robert Iscove (Cinderella), based on a script by Philip Eisner (Event Horizon). "Firestarter: The Next Chapter" picks up the story of Charlene "Charlie" McGee (played originally by Drew Barrymore) 20 years after the events in the original book. Charlie (Moreau) has spent the past 20 years on the run from the government that created her and killed her parents. Tired of running, Charlie searches for answers to her dangerous and out-of-control psychic fire-starting powers. She discovers those answers at the university that ran secret mind-altering experiments on her parents. Rainbird (McDowell), a sociopathic agent who wants to control Charlie's powers, has finally caught up with her. The secret experiments never stopped, and now Rainbird has a human arsenal of powerful children with strange psychic abilities with which to catch Charlie. In the coming battle, Charlie's only chance for survival might be a turncoat government agent (Nucci) and half-mad character named Richardson (Hopper). Dolan's Cadillac: Sylvester Stallone is confirmed to star as Jimmy Dolan, a local mob boss. Kevin Bacon is currently in negotiations to join the film as Tom Robinson, a science teacher and husband who gets King-style revenge for his innocent Francey's murder (a mob hit to protect Jimmy Dolan). The project is scheduled to start production in May. Read a review of the script. UPN's development slate for the 2001-2002 season includes a series based on the Stephen King novel THE DEAD ZONE from Michael Piller (Star Trek: Voyager). Stephen King and John Mellencamp are collaborating on a haunted musical (currently still without title). The storyline is about two brothers who are very competative and dislike each other immensely. Their father takes them to the family cabin which they hadn't been to since they were kids. It is there that the brothers discover they have a few skeletons in the family closet. It seems their father had had two older brothers who hated and killed each other in that very same cabin. King has already written a synopsis of the show and won over financial backers. Mellencamp has already written four songs. The show could be ready for the fall 2001 season. Riding The Bullet is being adapted into a feature-length film by Mick Garris who has completed writing the screenplay. Since this is a short story, elements will be added to the original story in the movie. Read the transcript of the AOL interview here. Read an essay written by Stephen King. Looking for some other Stephen King material? Check with Amazon.com below and you'll probably find it there!